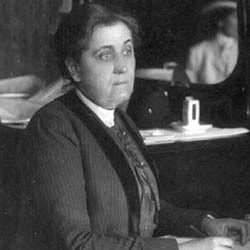 Miss Jane Addams, in a recent address before the Merchants' Club of Chicago, admitted that there is much crime among the children in the foreign colonies in the slums of our cities, but would not concede that there is either necessity or heredity about it. 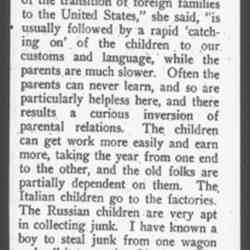 "The suddenness of the transition of foreign families to the United States," she said, "is usually followed by a rapid 'catching on' of the children to our customs and language, while the parents are much slower. Often the parents can never learn, and so are particularly helpless here, and there results are a curious inversion of parental relations. The children can get work more easily and earn more, taking the year from one end to the other, and the old folks are partially dependent on them. The Italian children go to the factories. The Russian children are very apt in collecting junk. I have known a boy to steal junk from one wagon and sell it to another fifteen minutes later, clearing perhaps half a dollar. "Now when a boy brings home fifty cents or a dollar it is a great help to the family, and when he brings home nothing his parents are sad and disappointed. His best [page 2] instincts, though, of filial affection, press him to bring as much as he can. "From gathering junk to stealing is only a short step. From collecting leavings of vegetables in the markets to pilfering a stand or wagon is equally a short step. To my mind the boy is put to an undue strain. The good in him becomes his undoing, and soon he is in the Juvenile Court. "The cupidity of parents helps along the process. The parents get in the habit of expecting their children to support them. Then there are boys who become criminals from sheer force of their adventurous impulses. Such boys prefer the excitement of selling papers to the routine of a factory. Many of them are quickly demoralized and cannot settle down into good workingmen. "There are boys who do wrong for the mere pleasure of doing something outside the law. There are others, such as those who drive off horses, who have a wild longing just to feel the tug at the reins. Gambling is a strong impulse with many. 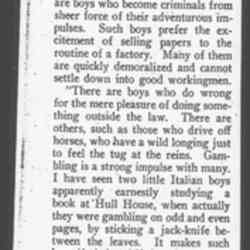 I have seen two little Italian boys apparently earnestly studding a book at Hull House, when actually they were gambling on odd and even pages, by sticking a jack-knife between the leaves. It makes such boys 'feel cheap' if they do not have loose change for gambling when a chance comes, and they will steal to get the money. "As to the men, the strain of monotonous factory life caused a rebound. They cannot adapt themselves to monotony. Our recreation is not sufficiently organized for their purposes. If more neighborhood centers were established immense good would follow." 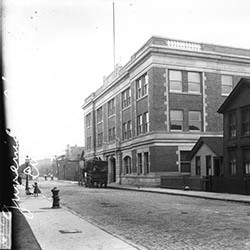 Addams addresses the Merchants Club of Chicago regarding the stealing and gambling habits of young, immigrant boys. "Delinquent Children." Charities 8 (1902 May 31): 490-91. 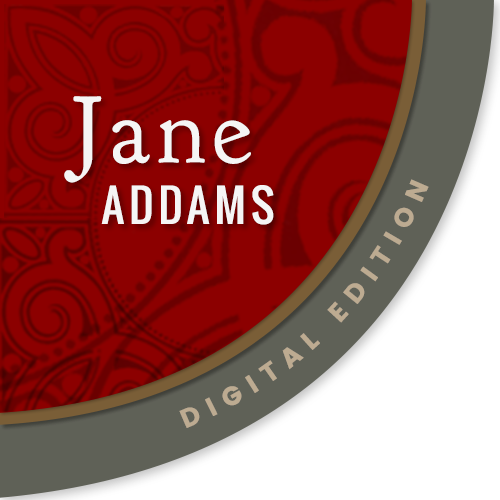 Addams, Jane, “Delinquent Children, May 31, 1902,” Jane Addams Digital Edition, accessed April 22, 2019, https://digital.janeaddams.ramapo.edu/items/show/1134.